Only 7,290 Miles! Boasts 32 Highway MPG and 23 City MPG! 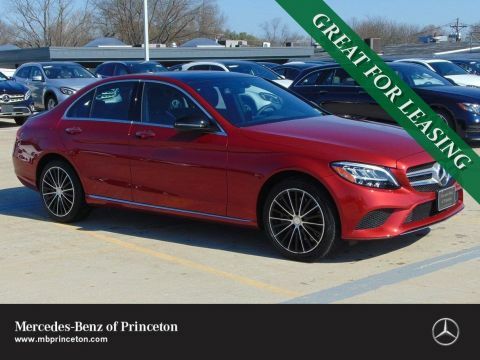 This Mercedes-Benz C-Class delivers a Intercooled Turbo Premium Unleaded I-4 2.0 L/121 engine powering this Automatic transmission. WHEELS: 18 TWIN 5-SPOKE, REAR SPOILER, PREMIUM PACKAGE. 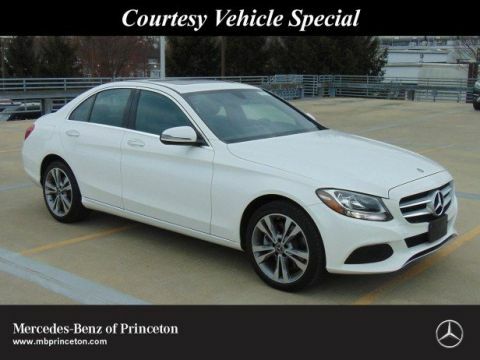 *This Mercedes-Benz C-Class Comes Equipped with These Options *MULTIMEDIA PACKAGE , HEATED STEERING WHEEL, HEATED FRONT SEATS, DARK BROWN LINDEN WOOD TRIM, CRYSTAL GREY/BLACK, LEATHER UPHOLSTERY, COMFORT SUSPENSION, BURMESTER PREMIUM SOUND SYSTEM, Window Grid Antenna, Wheels: 17 Split Y-Spoke, Valet Function. 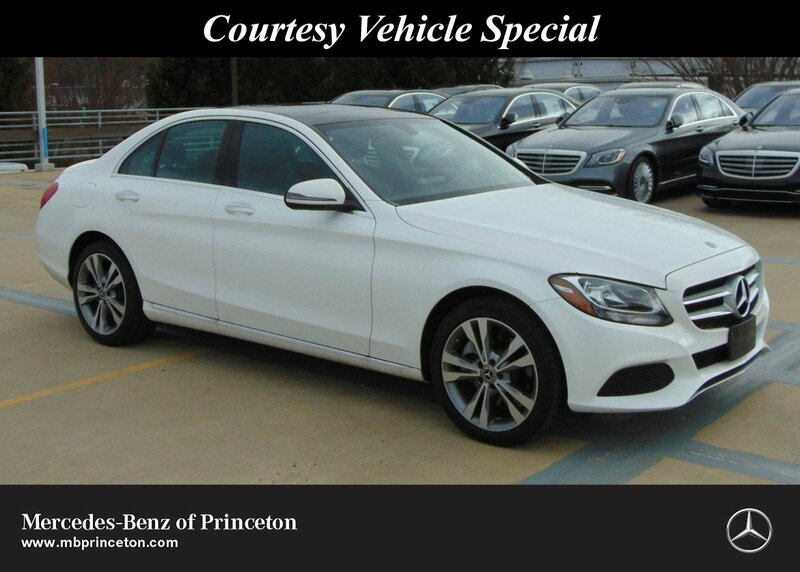 * Visit Us Today *A short visit to Mercedes-Benz of Princeton located at 2910 U.S. Route 1 North, Lawrenceville, NJ 08648 can get you a trustworthy C-Class today! Used vehicle pricing includes all offers. Tax, Title, Tags and Dealer Fee of $299 not included in vehicle prices shown and must be paid by the purchaser. While great effort is made to ensure the accuracy of the information on this site, errors do occur so please verify information with a customer service rep. This is easily done by calling us at (609) 910-5826 or by visiting us at the dealership. 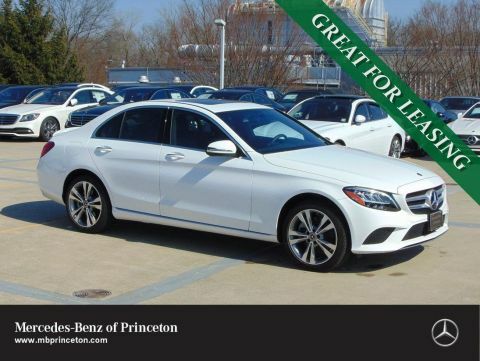 Welcome to Mercedes-Benz of Princeton, serving drivers in and around Hamilton, Lawrenceville, South Brunswick, and Pennington for their luxury vehicle needs. Whether you come to us to browse our selection of brand-new Mercedes-Benz models or our extensive selection of Certified Pre-Owned Mercedes-Benz vehicles, or simply need an oil change at our service center, the staff at our dealership is ready to help. We’ve been committed to pairing drivers in the area with cars that meet their precise driving specifications and completing world-class automotive service for more than three decades, and we don’t plan to stop any time soon. 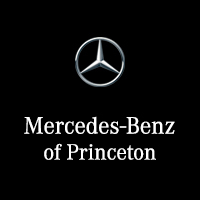 Mercedes-Benz of Princeton	40.2717896, -74.7091983.